1. You can freeze hairspray. Yes I know it is supposed to freeze your hair, however, if, for some reason, you were to place the hairspray your husband purchased for you in the freezer because you didn’t see it in the bag with the bacon and then you thought he just hadn’t bothered to buy it and you were kind of annoyed about that but didn’t say anything and then you got some bacon out of the freezer and saw the hairspray there in the same bag….it would be fine. 2. The ridged side of the bobby pin is supposed to go toward your head…who knew? Here is a post you can go to to find out all you ever needed to know about using bobby pins properly! This is actually important if you have ballet dancers in the house…I have 2. 3. Once you’ve steeped black tea once, all the caffeine is gone, so the second cup will be decaf…good to know if you really like your Pumpkin Chai from David’s Tea but you’re not allowed to drink caffeine for awhile! However, that ban is now lifted and I should go grab my cup of chai that is sitting on the counter…be right back! 4. Loose tea will stay fresh for up to two years if it’s kept in an airtight container. 5. There are 5 kingdoms in scientific classification – bacteria belongs to the Monera kingdom – just so you know. 6. The powder from the Colour Me Rad run doesn’t come out quite as easily as they say it does…you should not wear your brand new b*a to such an event, it will have weird colours on it afterward! 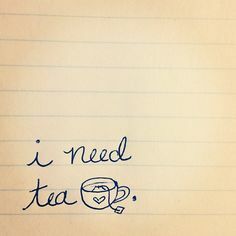 Yes, tea information is important to me!! 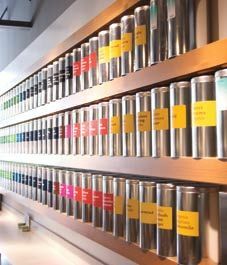 I keep a collection of interesting tea information on my Pinterest board, you can see it here!